One of the most underestimated candidates for the Sierra Leone People’s Party (SLPP) presidential flagbearership – Dr. Jonathan Tengbe (Photo), has today spoken exclusively to the Sierra Leone Telegraph. He told the editor – Abdul Rashid Thomas (ART) that, he will be travelling to Sierra Leone in the next two days to attend a conference along with all the other party presidential aspirants, to find a peaceful solution to the current infighting that is threatening to destroy the party’s chances at the general elections in 2018. “I will be leaving for Freetown on Wednesday, 4th November, 2015, to attend the next level conference for peace and Unity in our Party, which will be chaired by Professor Joe Pemagbi. The aim of the conference is to collate the conclusions of all on-going peace initiatives into one implementable communique to be approved by the party’s National Executive Council (NEC),” said Dr. Tengbe. 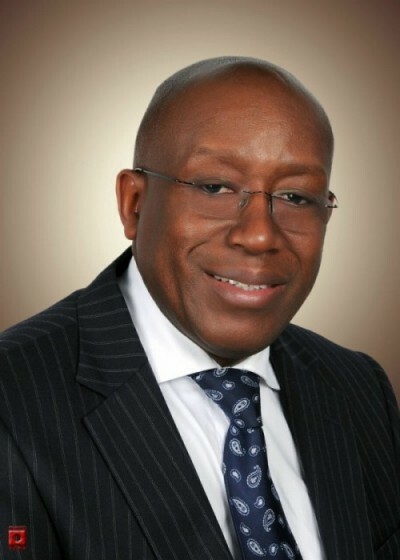 Jonathan Tengbe (J.T), who is a highly successful global engineering consultant, presently working for the government of Qatar, also spoke about his passions and aspirations for the presidency. This is what he told the Sierra Leone Telegraph about his values, principles, and chances of winning the SLPP presidential flagbearership. 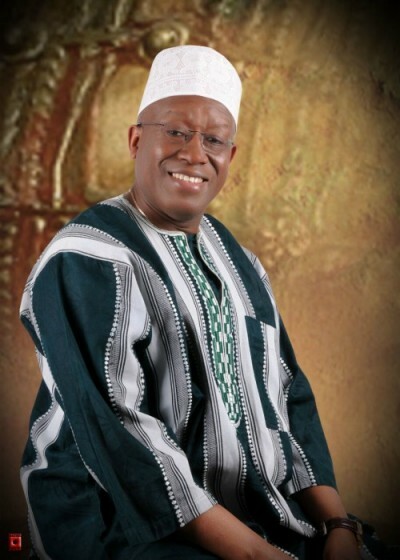 ART: You have been described by many in Sierra Leone as one of the main contenders for the presidential candidacy of the Sierra Leone People’s Party (SLPP), but not much is known about you – please tell us who is Dr. Jonathan Tengbe? J.T: Dr Tengbe is your humble son of the soil, born and raised in the Eastern Province, educated in the Southern Province, Western Area and abroad, worked in the Northern and all Provinces/Regions of Sierra Leone. I am a certified and professional engineer with a passion for development. I have provided road infrastructural planning expertise at the highest levels in Sierra Leone, Lesotho, United Kingdom and now in Qatar (Middle East). Some have also described me as the quintessential philanthropist due to my helping nature and timely responses to cries for assistance. I have founded a developmental organization (Feed Our People Campaign) to help me realize my goals in this direction. I have been married for 30 years now, and my wife Hannah and I both come from a long chain of chieftaincy and traditional homes in the Kailahun and Kenema Districts. God blessed us with a son who is currently in University in the UK. ART: With such an impressive career in industry as an engineer, especially globally – spanning more than two decades, why do you want to become president of Sierra Leone? J.T: I am a development-oriented aspirant who wants to lead Sierra Leone to economic independence. You see, growing up in my native country and further educating myself in Europe has provided me with the insight to appreciate the development continuum of some advanced countries as well as to develop the passion to want my country to achieve the same. What I have also learned from being an active politician is that it is not enough to be critical of the failures of Governments to deliver on the aspirations of the people they purport to serve. To be constructive, one needs to offer solutions and contributions that will differentiate you and your approach, from those that you are critical of. I want to become President of Sierra Leone to bring closure to our development strive, which has deluded us for decades because we have essentially put premium on the wrong approaches to development. Instead of Agriculture, we have emphasized mining, instead of trade, we have emphasized aid, instead of preventing corruption – we have emphasized punitive measures for culprits. We have shown preference for growth over development and put investment concerns over environmental concerns. I want to be that President that creates the difference through a rapid rationalization of our approach to development. If we must ask for aid, let’s take a one-off approach. For instance, after a decade long civil war superimposed by a disease war, Sierra Leone has a ripe case for a marshal plan of support that will recreate institutions and establish the needed infrastructure to put the country on the appropriate development trajectory. This Plan I will call “Project Sierra Leone”. We will then construct a fibrous road infrastructure that will have knock-on effects on Agricultural products marketing and our National Income. I am tired of the lack of basic amenities for the citizenry – electricity, water services, recreation etc, – and I will ensure the sustainable provision of these. I want to serve my people in those areas that will provide the greatest job opportunities for the youth and other marginalized groups such as women and the disabled community. I will particularly distinguish myself on the inclusiveness of women in the body polity by instituting quota appointments and prioritizing the education of the girl child. A President Tengbe will put premium on eliminating corruption by demotivating potential practices through appropriate minimum wages, cost of living adjustments, training and institutionalized awards for whistle – blowing and other anti-corruption practices. From the many years of my work abroad, I will use the international connections and clout that I have garnered to market ‘project Sierra Leone’ and demonstrate the relevance of Sierra Leone in regional and global matters. There is neither space nor time to provide all what I intend to do but this should give the impression of why I wish to lead Sierra Leone. ART: Sierra Leone has had many false starts and painful hiccups since gaining independence in 1961. And many have put this down to poor leadership. They say that we have been cursed with leaders that lack the sort of values the country needs to be able to transform its vast natural resources into wealth and prosperity. What would you say are your core values and principles that would guide you in formulating your policies, if elected as president in 2018? And what would be your priority areas of focus? J.T: I believe in humanity, freedom and democracy which is why I chose to belong to the SLPP whose tenets align with these principles and I have been an ardent and active member ever since. During childhood, I was taught to be honest in everything that I do and to be respecting of others. These values have informed my approach in life and will underlie my policies, which will be geared towards engendering the concept of hardwork and honest rewards for honest work, into our society. As Sierra Leoneans, I believe that we can disagree without being disagreeable and whenever a common purpose is at stake I am personally very compromising. Therefore the policies I propose for the country will be pro-poor and encapsulate inclusiveness as well as my core values of competence, selflessness, integrity and fairness. As a professional who has worked throughout in time – sensitive and results oriented organizations, my policies will evidence an impatience for development and thus intolerance for detractors. For the required pace and extent of the kind of development that I envision, my policies have been ordered to address Infrastructure, Health, Education, Agriculture, Environment and Tourism, all aimed at embedding a vibrant economy within a corrupt-free society. ART: So why do you think you are the best candidate for the SLPP presidential flagbearership? J.T: Our Party is known for producing gifted aspirants and this election cycle is no exception. This situation is good for the Nation because it always leads to competition, increased efficiency in the democratic process and quality flagbearers. In this race I have distinguished myself as the candidate who remains focused on the issues that matter to our Party and Country. The records are clear that I do not engage and will not allow my surrogates to engage in any form of mud slinging and excessive negative campaigning that achieve nothing but provide electioneering ammunition to the incumbent Government. I have led several initiatives that will cause Unity and peace to reign in the Party. I have called for and organized Unity conferences in this regard and incessantly worked to codify our efforts at approaching the general elections with one accord. I am a long-standing, fully registered member of the Party who has met all obligations including financial contributions, both regularly and on ad-hoc basis. As a professional of international repute, I have further used my skills on many committees and forums to promote the aims and objectives of our beloved Party. I am outstanding as a pro-development aspirant with clear policies on infrastructure and the economy generally. I am yet to see in the other aspirants, the desire I have shown to highlight Infrastructure as the critical minimum effort needed to propel Sierra Leone into the economic development realm. As an Easterner, a region that has not been privileged to lead the Party yet, and as a member of a minority ethnic group, my Party members are aware of the broader national appeal I am positioned to secure if I become their flagbearer. They are also aware that aside my achievements I am a candidate of minimum negatives, giving us a generous chance of winning a National election with far less efforts at campaigning. I have fought for reformation of the Party when it was needed, and as a commoner Party member I will better represent aspirations across the board, and address members’ needs. I present a humble opportunity to our Party to put forward a well qualified, pro-development unifier with a broad and acceptable appeal to the nation, as their 2018 Presidential Flagbearer. ART: It is understood that SLPP will need about $12 million to contest the 2018 elections effectively. How would you go about raising this money? J.T: I do not know exactly how the $12 million estimates was arrived at but I agree that the Party, as is common with many a Party in opposition, will require substantial sums to win an incumbent, especially in Africa. I also know that time is of the essence which creates further limitations on our fund raising efforts and may limit us to a strategy of approaching significant donors. There are many such groups and individuals out there who are watching the process with keen interest and who clearly identify with the policies that I propose and the reputation of SLPP for delivery. These individuals/groups will have a high likelihood to support our efforts. All these will be against the backdrop of dripping contributions and funds from our members who wish to see a change in Government and the salvaging of our people. Let me conclude on the note that it is not always the Party with the highest amount that wins and whilst funds are essential, I will focus on the more important aspect of putting the right strategies in place to minimize our expenditure without sacrificing success. ART: If you lose the SLPP flagbearership, will you work with the winner irrespective of who they are? J.T: Yes, there is absolutely no doubt in my mind about that. I believe that ensuring a SLPP government overrides my personal ambitions and supporting someone after a contest is an acid test of that belief. ART: You were a member of the SLPP election media campaign committee for the 2012 elections. Why do you think the party lost the 2012 elections? And what should the party do differently in order to win in 2018? J.T: If we factor out the claims of alleged election malpractices, what remains is that there is no single factor for our loss in the 2012 elections. Instead a series of factors, which I will call tactical errors were responsible for our sub-standard performance although I still think that the overall Party strategy was good. The more important question is how we will win the next general elections. Of course I will not let out our strategy and tactics on a forum such as this but I will assure all that the Party has what it takes to succeed this time round and that we have learned from our past mistakes. It is precisely this benefit of hindsight that has contributed to bringing people like us into the race to State House, because unseating APC is a job that must be done by the deadline of 2018. ART: I understand you will be setting off for Sierra Leone shortly. Will you be meeting Julius Maada Bio and the other potential candidates to discuss peace in the party? J.T: Yes, I will be leaving for Freetown on Wednesday, 4th November, 2015, to attend the next level conference for peace and Unity in our Party, which will be chaired by Professor Joe Pemagbi. The aim of the conference is to collate the conclusions of all on-going peace initiatives into one implementable communiqué to be approved by the NEC. The meeting is designed to be attended by all flagbearer Aspirants in person, which means that I will have the chance to meet with my colleagues, including Brig. Maada Bio whom you have referenced to discuss this burning issue of uniting the Party within a peaceful environment. Through this forum, therefore, I am appealing to all aspirants to be onboard the concluding sessions for a peaceful SLPP, as the common purpose of changing governance, is clearly at stake. ART: Thank you Dr. Jonathan Tengbe, and good luck with your campaign for the SLPP presidential candidacy.